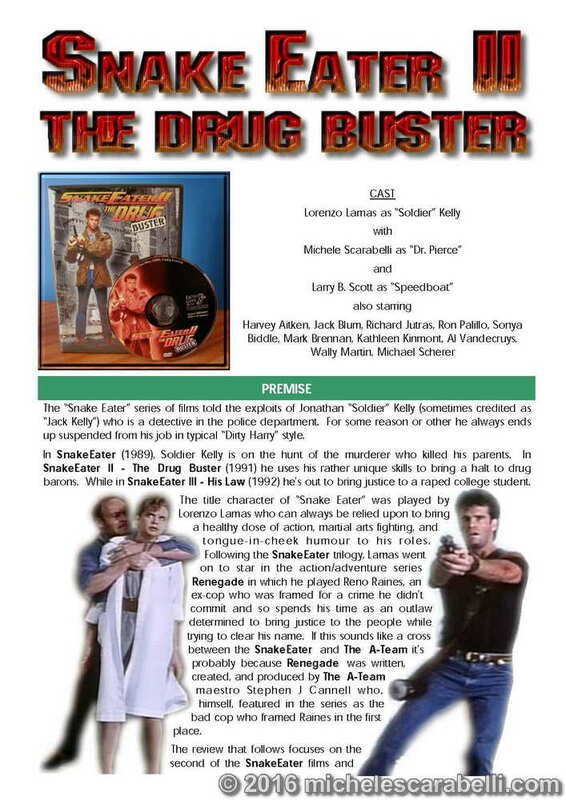 Lorenzo Lamas (of Renegade fame) blasts onto the pages of issue 17 as “Soldier Kelly” does battle with notorious drug barons. But is he really sane? That’s a job for Dr Pierce (played by Michele). When two of Jake’s buddies are shot dead in the middle of the night, he and L.J.McCabe (“the Fatman”) believe it to be the work of a “Drugs for Guns” boss who’s just slipped through their fingers. However, should they be looking closer to home for the real suspect? Michele features as the widow of one of the dead cops who has a secret of her own to hide. 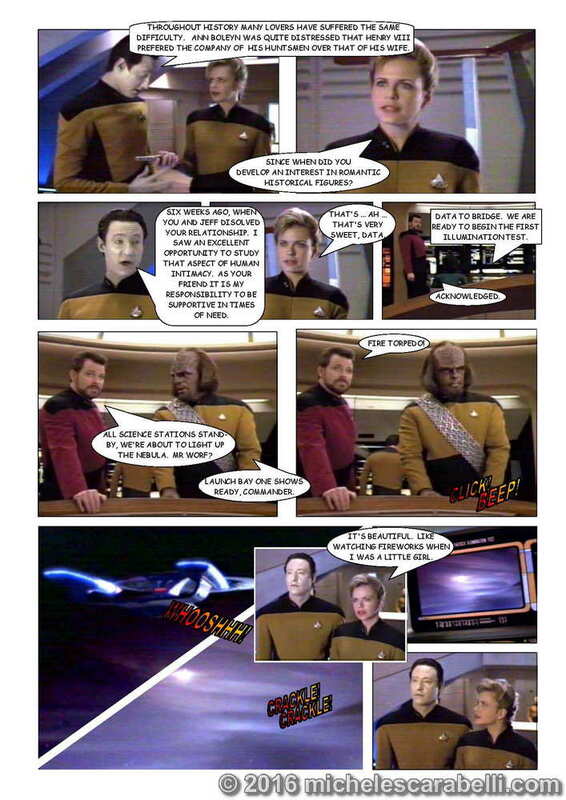 Finally this issue, we take a graphical look at Michele’s first scene in the Star Trek TNG episode In Theory. 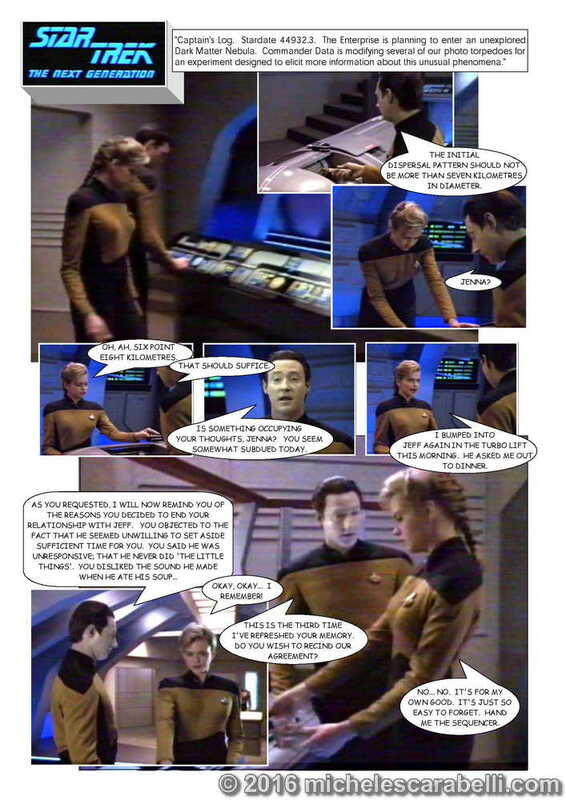 In this scene Jenna and Data discuss Jenna’s weak will when it comes to her boyfriend as they modify several photon torpedoes for data gathering purposes.